Last year, another student who survived school shooting in Parkland, Florida, died in what appears to be suicide, police said. It is the second time in a week that a survivor of the shooting died by suicide. Coral spokesman Tyler Reik told CBS News that the student died in an "apparent suicide" on Saturday night. On Tuesday, the department identified the student as Calvin Desir, a 16-year-old sophomore. Death is still being investigated and a final cause of death has not been determined. 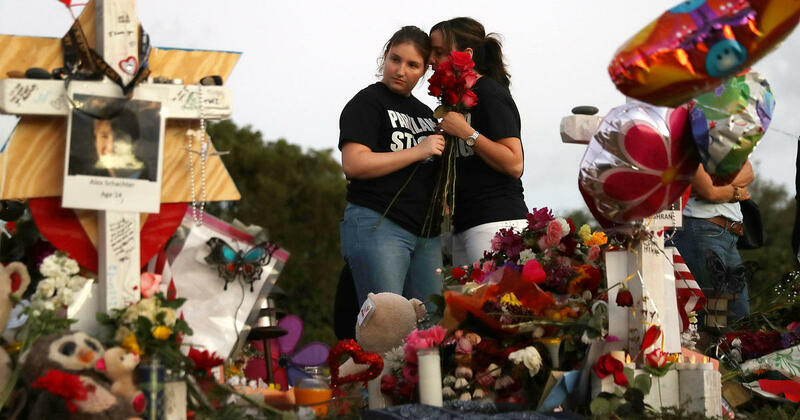 "The tragedy that took place at Marjory Stoneman Douglas High School is something we as a community will struggle with in the coming years," said the department in a statement. 9659003] The city is planning to hold a town hall on mental health and suicide prevention on Wednesday night. Death comes only a week after another Parkland's shooting game, 19-year-old Sydney Aiello, died of suicide. Aiello's mother told CBS Miami that her daughter fought for post-traumatic stress disorder and left behind in the year after the shooting, leaving 17 people dead. Aiello was a friend of Meadow Pollack, one of the killed in the attack. Desir's death came the night before a year's anniversary for March for our lives, a demonstration against gun control, which was planned by Marjory Stoneman Douglas students. The Washington rally drew hundreds of thousands of participants and inspired similar marches around the world. David Hogg, one of the most prominent student activists from the school, tweeted Sunday morning: "How many more children should be taken from us due to suicide for the government / school area to do something? Rip 17 + 2"
How many more children should be taken from us as a result of suicide for the government / school area to do something? For immediate help if you are in a crisis, call it for free, 1-800- 273-TALK (8255) which is available 24 hours a day, 7 days a week. All calls are confidential. Disaster Distress Helpline on 1-800-985-5990, is also confidential, free and available 24 hours a day, 7 days a week. People can also write TalkWithUs to 66746 to connect with a trained crisis counselor.